Aland, an island in the Baltic between Finland and Sweden, owned by Finland but Swedish is the language spoken. 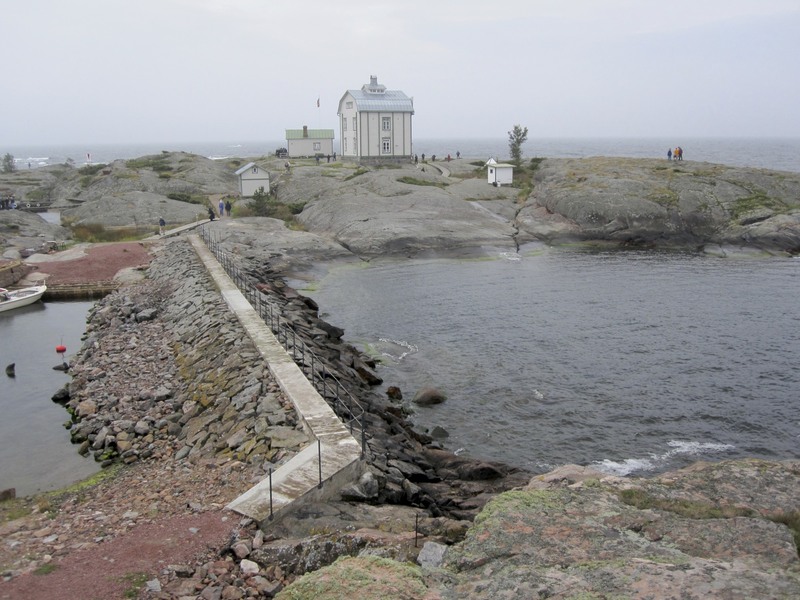 This is a tiny island off the coast of Aland, the main feature is this lighthouse, or pilot house. I’m sitting in the bar on our ship listening to Barnaby play the piano. A small crowd is starting to gather — there are several music lovers, and singers on board. Speaking of singing, our visit to Estonia yesterday was amazing. What a tragic and lovely place. Estonia sits out in the Baltic and is bordered by Russia to the east and Latvia to the South, across the sea from Finland and Sweden. So it has had a long history of invaders and conquerers. In fact, it wasn’t until after WW1 that Estonia was independent, and sadly that only lasted for 20 years. Then Hilter made a pact with Russia in 1939 giving Russia control. It wasn’t until 1991 that Estonia regained their independence. They are truly amazing people though to have kept their language and if only in their hearts, their hope for freedom. Currently only about 1 million Estonians live in a country about the size of Holland. Tens of thousands were executed by Stalin or sent off to Siberia by the Soviets. I mentioned singing because Estonians love to sing. They have a famous singing competition every five years and during that competition in 1989 the 30,000 participants ignored the Soviet rules and sang their national anthem. That act, and subsequent peaceful demonstrations, cemented their resolve to gain freedom from the Soviets. After spending a few days in St. Petersberg and hearing our guides tell us how hard their lives were during the Soviet time, I am only reminded how lucky we are to be American. We have no idea how harsh life really is in most of the world. We certainly have never suffered in modern times, or today for that matter. Though Russia is a much freer and more prosperous place, but the divorce rate is currently 85% and the average life expectancy for men is only 60, women live another 12 years. The birth rate is among the lowest in the world, and there’s still problems with housing and health care. Our guide, who’s 40, says she’s happy for the fall of the Soviets, but her parents preferred that system since they actually had better health care and more job security. She remembers living in an apartment as a child where there were four families living together with one bathroom — imagine 15 people and one bathroom. She currently has a two bedroom, two bath apartment and her mother can’t help but say “Why do you need two bathrooms?!”. The shops are full, there are no lines, and there’s no food shortages like there were during our visit in 1986. 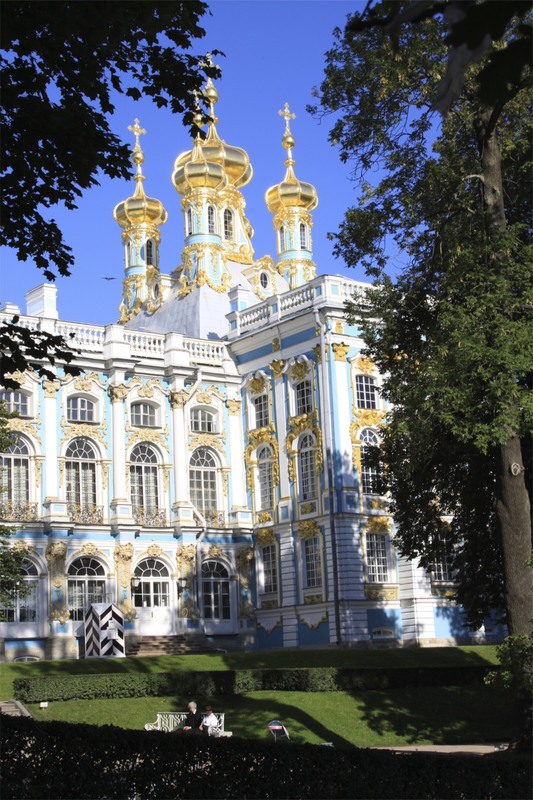 We visited Catherine’s Palace in Pushkin, the summer palace of Catherine the Great and the Czars of Russia. It was nearly destroyed in WW2 but they have meticulously restored it. We had a gorgeous sunny day, one of the 30 cloudless days that annually occur in St. Petersberg. 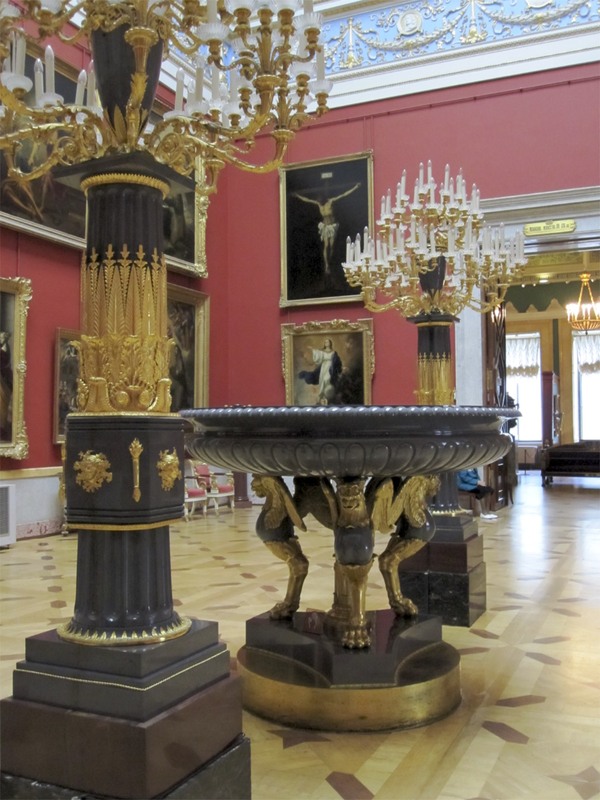 The next day, our last in Russia, we spent in the Hermitage Museum. 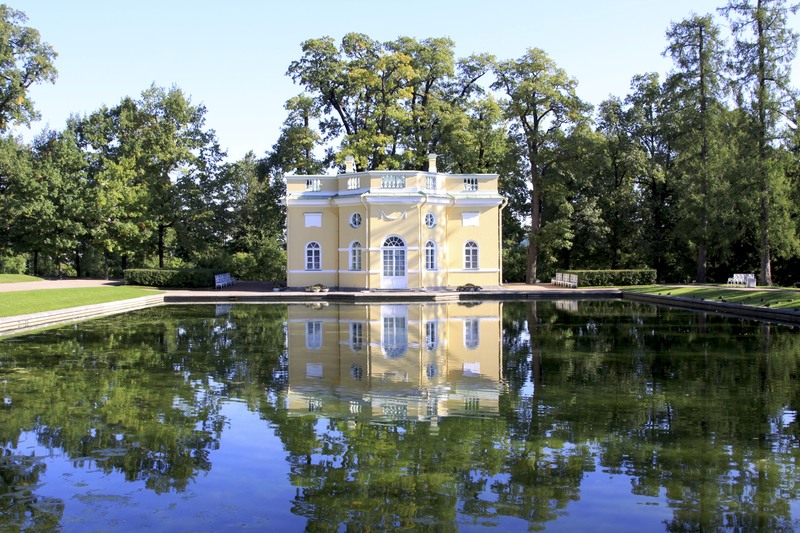 It was the winter palace of the Czars and is probably the most beautiful museum I have ever been in. We were very lucky to be traveling with this ship — our group was able to enter the palaces and the Hermitage about two hours before the regular opening times — so other than our 140 cruise mates — we had the space to ourselves. 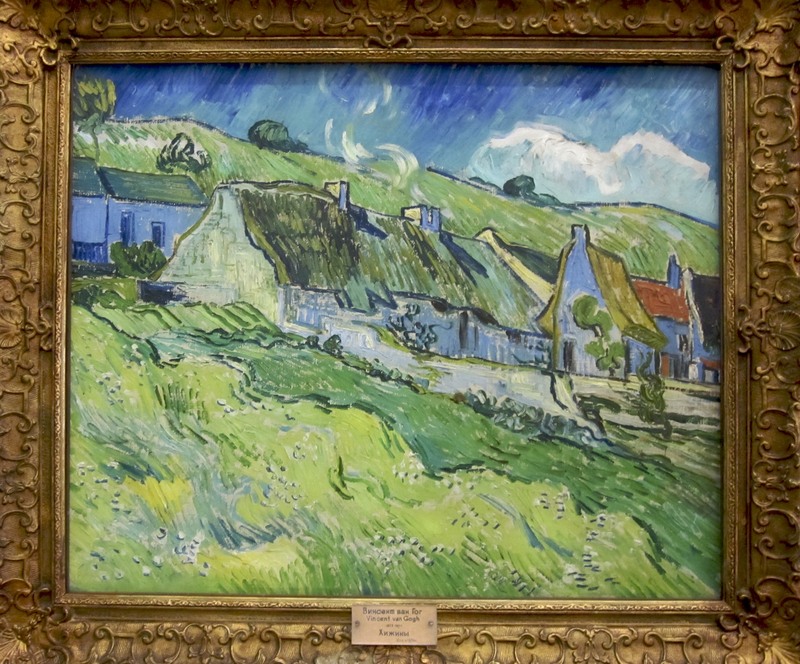 This entry was posted on Sunday, September 12th, 2010 at 4:07 pm	and posted in Uncategorized. You can follow any responses to this entry through the RSS 2.0 feed. Love the blog! It’s like I’m there…except sitting at my computer is not as good as sitting in the bar off of Aland listening to Barn play the piano! We all send love – the doggies and us.